Originally published over 115 years ago, The Wonderful Wizard of Oz has captivated readers of all ages with its remarkable narrative and lovable characters. Although incredibly popular after initial publication, part of the book’s fame can be attributed to its many popular adaptations, most notably the iconic 1939 musical film starring Judy Garland, which skyrocketed the book to eternal fame. 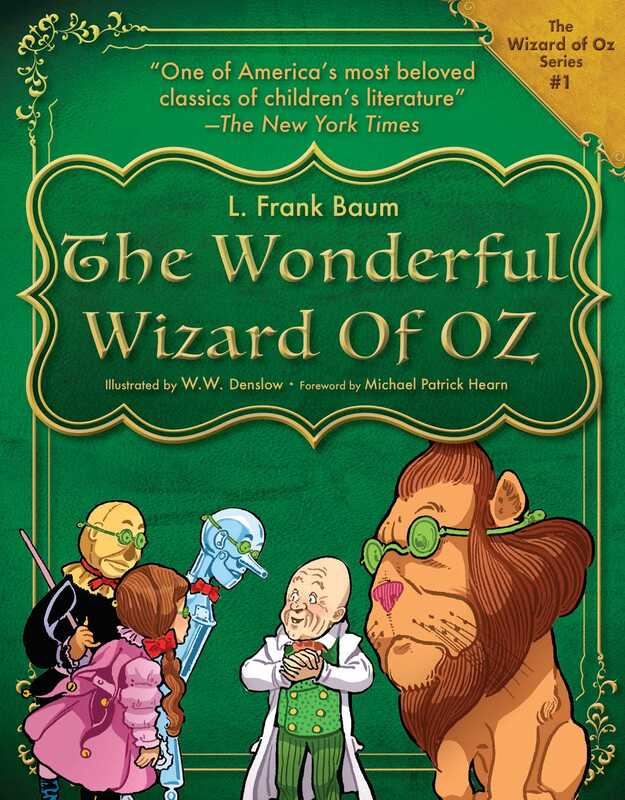 In this attractive, affordable hardcover edition, revisit L. Frank Baum’s masterpiece featuring young Dorothy, who’s swept in a tornado and carried off to the mythical Land of Oz. Follow the classic protagonist, and her adorable dog Toto, along the yellow brick road as they navigate through Munchkinland and Emerald City, and try to find their way back home to Kansas. Discover the origins of immortalized characters like the Scarecrow, the Tin Man, the Cowardly Lion, and the Wicked Witch of the West. The edition includes all of the original full-page color illustrations by W. W. Denslow, as well as vibrant spot illustration throughout, only enhancing this enchanting literature. Experience a classic in its truest form, and pick up this beautiful edition of The Wonderful Wizard of Oz.